Everything has its place in health and medicine, and I try to be a voice for wellness in this community and affect one life at a time. There is no shortage of sick people and people in pain with various conditions. Therefore, as a chiropractic physician, in addition to acute care, I incorporate many areas of wellness into the health center, including massage therapy, weight loss, acupuncture, classes and seminars on wellness, community talks, therapies such as electrical stimulation, ultrasound, ice, heat, myofascial release and manual decompression. We also offer the Ideal Protein weight loss program and does it ever work! My passion and commitment to chiropractic is reflective in how sincere and honest I try to be to my patients. They are like my family and I want to help them and their loved ones in any way I can with all their health goals. I take pride in providing gentle care for each patient. Adjustments do not have to be forced and we have more than one technique to get the job done. 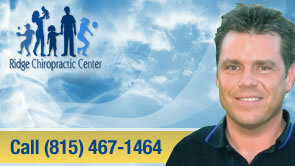 I enjoy working with patients from babies to adults and particularly enjoy treating local athletes. I am proud to be a part of the “Channookan” community and reside in the area with my lovely wife and four boys. Chiropractic is amazingly simple. Chiropractic is remarkably safe. And chiropractors can be helpful for a variety of health problems—problems that rarely resolve on their own. The chiropractic profession sits largely towards the wellness and prevention end of the spectrum, but we also treat and take on acute conditions daily. Our clinic routinely takes on several personal injury and worker’s compensation cases. We are a Tier One clinic and work hard to get the best results we can within the scope of your insurance as fast as we can both ethically and affordably. But we also discuss other options for care with our patients that may compliment or replace our treatment for certain cases such as medication, physical therapy or possible surgery. Patients deserve all options whether it is for pain-relief, corrective care, preventative and supportive care, or seeing another health practitioner. Frankly, I have never been the type of chiropractor that trips people up in a shopping center, ropes patients into coming in for some long-winded treatment plan, claim to cure everything, or ask patients for a large sum of money upfront at some discounted rate thereby forcing them to come in. I’ve been practicing in the area for more than a decade and over 90% of our patient base has been through word of mouth, and in all that time, our fees have never gone up. Results speak volumes. Although we can be as busy as I am fast some days, we are also not your run-of-the-mill clinic that has our patients coming in like an assembly line. We take our time with each patient often incorporating passive therapies such as manual decompression and myofascial release techniques. We also discuss home exercises and precautions with patient’s active daily living in order to help prevent future exacerbations in their conditions, and encourage wellness, prevention and regular check-ups with their primary care physicians. Chiropractic medicine is a corrective procedure similar to physical therapy, but with more focus on the specific bony alignment than on soft tissue alone when done correctly. It does not replace physical therapy—it compliments it. So whether you refer someone directly to us or are a patient yourself, rest assured, you are in good hands literally, and I am always grateful for the trust and chance to help whenever I can. Waiting will only postpone the moment you enjoy relief. So please call now. Countless other southwest Chicagoland area residents have discovered that our Chiropractic has helped! Dr. Cissell is willing to explain what he does as well as what he expects to do for you. Great information given by doctor, look forward to my daughter getting the help. Hands down, the best experience I’ve ever had. Already feel so much better, Frickin AWESOME job. Thanks. I think we are the same page… I felt quite a bit looser in the lower back. Looking forward to the next appointment. Great Customer Service! Friendly and personal. This is the best chiropractic care I have ever received! Dr. Cissell is great. Very informative and thorough. I would recommend him to anyone! Appreciate the time that was spent with me. Dr. Cissell was extremely thorough with his explanations of the spinal anatomy and what nerves branch off and “control” different parts and functions of the body. I am very confident he will be able to help me with my chronic back pain! Great office staff, classy environment and great adjustment by doctor. When I have sore neck or back pains and Dr. Cissell is always available to help me feel better. He listens, cares, and always has suggestions on just what you can do to stay your best. You guys are awesome! Keep up the good work. I will be coming back. I am so happy I finally found a new chiropractor after mine retired. I am so happy with Dr. Cissell and his staff. Wonderful experience. I am very pleased with the immediate results and look forward to experiencing long term results with more treatments. Thank you. I highly recommend this place. Everything was great. Hands down, the best experience I’ve ever had. Already feel so much better, awesome job. Thanks! I really appreciate the amount of time you spent explaining the process. Everyone is so friendly. Thanks! I feel you went above and beyond what I’ve ever experienced in chiropractic treatment ever! I do appreciate this! Would highly recommend Dr. Cissell and staff. I was very happy with my visit. Left very informed and was feeling better after adjustment. I was having headaches everyday. After the first adjustment they were gone. Overall experience was wonderful! Would definitely recommend others to go! Was able to immediately get relief. Thank you Dr. Cissell and staff! I’m also pleased with cleanliness of office. This was not my first visit, I have been coming for 2-3 years. My last name changed. I am very pleased with the visit. Thank you. Better then any other doctor visit I have in years. Thank you for seeing me at a moments notice even when you were scheduled to close. Doctor took his time to give the personal attention I wanted. He made me feel like I was his most important patient. Was quickly serviced, and will return. Awesome doctor! He took time to explain. I felt very relaxed and he’s very personable. They saw me earlier than my appointment time. Didn’t make me wait around with a sore lower back. I would recommend this practice to everyone. Dr. Cissell is a great doctor. He help with and my wife with may of our back problems. Thank you very much. Wonderful, caring office staff. The doctor is great at explaining everything that is going on with your spine. First visit was not only very informative but helpful. I look forward to receiving care here from now on! Thank you Dr. Cissell! I feel 100 times better! Thank you for fitting me in! First visit was great. Looking forward to next one. Doc was very informative and very personable and I liked that a lot!! I will definitely be referring him to everyone!! You have a great staff working with you doctor. Very friendly, helpful and polite. You have helped me a great deal with the pain I was suffering. The doctor is very personable as is his staff. I have told all my friends about my great experience. Dr Cissell and Carol and staff were excellent! Very knowledgeable and took the time to explain why I was having these issues. Thanks Doc! Very friendly and informative. Thank you. I appreciate that the clinic is concerned about complete wellness. Keep on the excellent work and we will recommend your establishment to our friends.